D9502 was in the first batch of D95xx locos built by BR at Swindon in 1964, released to Bristol Bath Road depot in July. D9502 also spent some time at Gloucester shed along with many classmates. The work the class were intended for dried up as they were being built and D9502 was withdrawn in April 1969, going to Cardiff Canton for storage. Many of the locos saw use in industry and D9502 went to the National Coal Board along with several others, noted as leaving Cardiff Canton en-route to Ashington via Gloucester, arriving in July 1969. 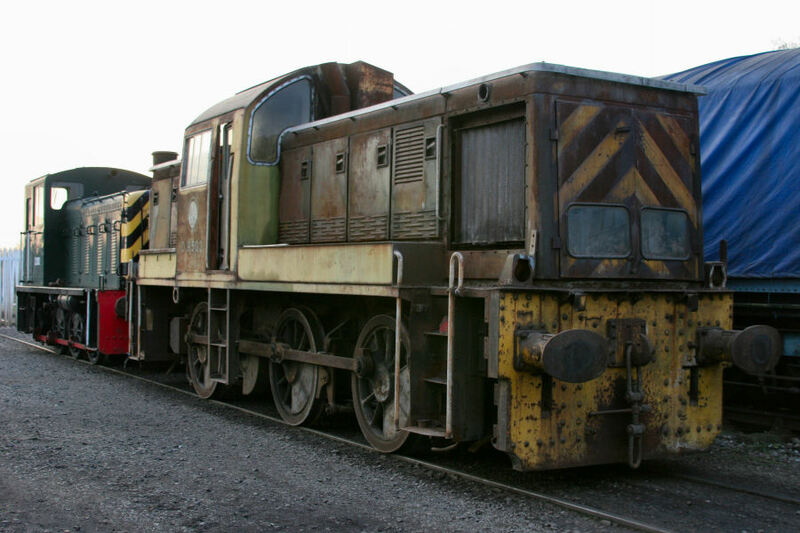 D9502 saw use at Ashington as well as Burradon and Backworth collieries. Unusually, the loco never gained the NCB livery or numbers. 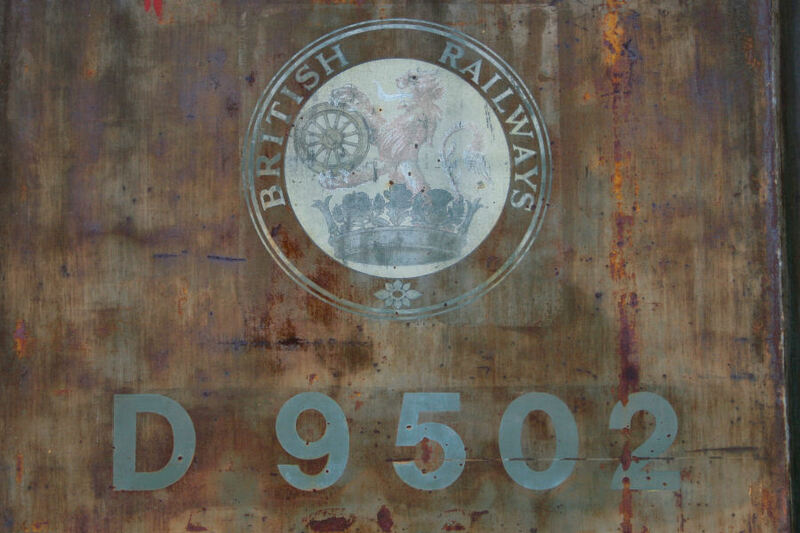 D9502 initially went to the Llangollen Railway in September 1987, moving again in March 1992 to the South Yorkshire Preservation Society at Meadowhall, Sheffield and again in March 2002 from Meadowhall to Rowsley South, Peak Rail. 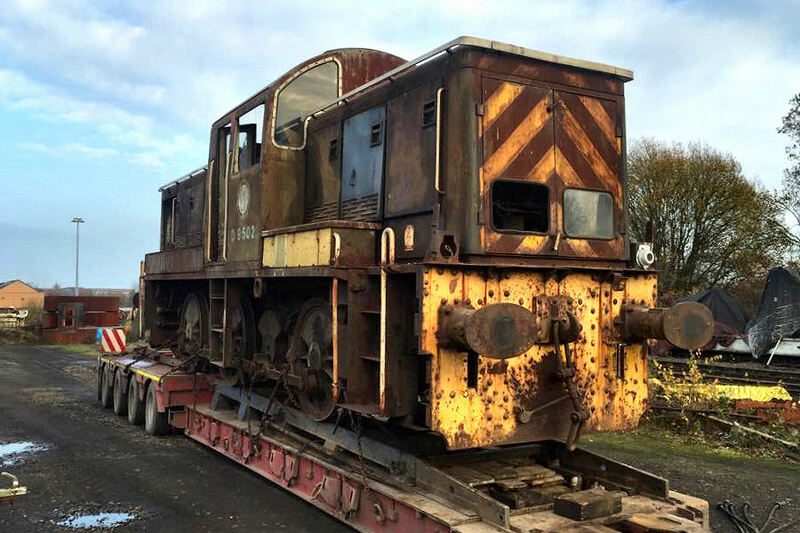 The latest move saw D9502 arrive at Bury on Thursday 20th of November 2014. 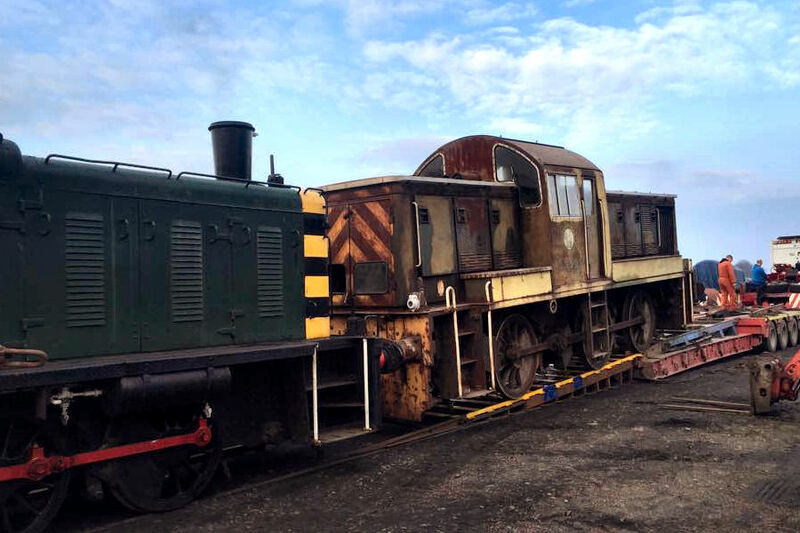 The long term restoration project is progressing with the loco completely dismantled as of Summer 2016. There's lots to do but the small dedicated team are chipping away all the time, the cab, sideframes, nose cones, roof sections and electrical cublicle have all been shot blasted, primed, undercoated and glossed. The loco is off it's wheels and these will be sent away for tyre turning before going back underneath.